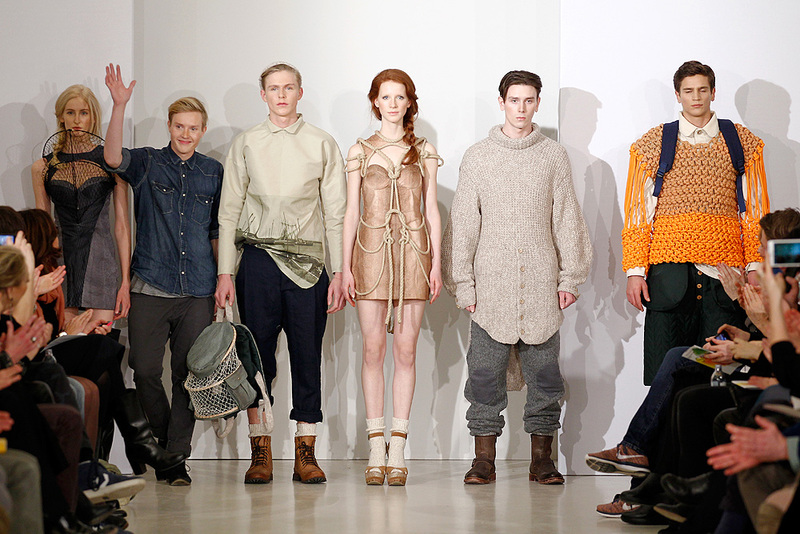 Kicking off the Berlin Fashion Week, today nine students and graduates were honored with the European Fashion Award FASH 2014. 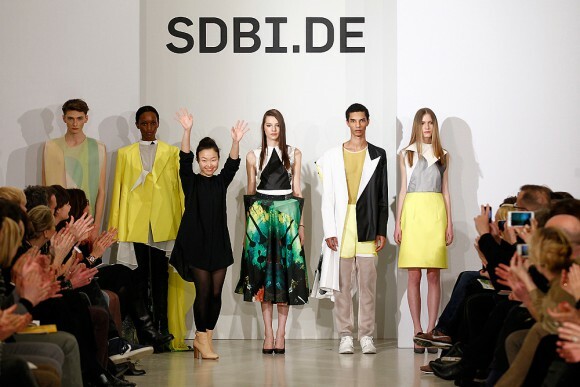 The award is managed by the non-profit SDBI – Stiftung der Deutschen Bekleidungsindustrie (German Fashion Industry Foundation) . 250 guests from the retail sector, agencies, higher education, government as well as managers and designers of leading companies from Germany, Denmark, Great Britain, Estonia, France, Japan, Lithuania, Sweden and Switzerland took part in the ceremony. 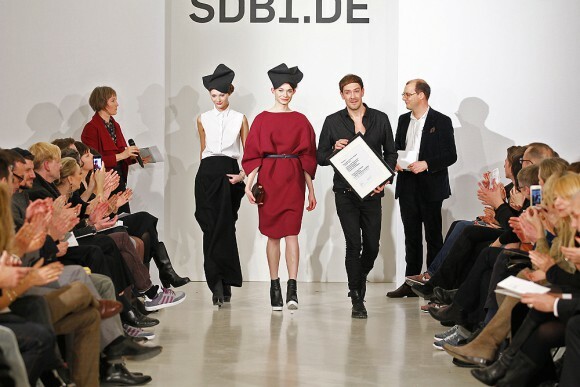 “We congratulate all winners of the European Fashion Award FASH 2014”, comments SDBI Chairman Tobias Gröber, thanking all students who participated and the educators who supervised the projects. After 36 years, the award was presented by SDBI not in Munich, where the foundation has been headquartered, but for the first time in Berlin: “It was also the wish of many of the students to present their works in one of the world’s most exciting metropolitan cities,” explains Tobias Gröber. The demanding, international competition, this year entitled “Rhythm”, targets design students from all areas of design beginning with the fourth semester. A second category is open to graduate projects finished during 2013. The overall value of all prizes totals 80,000 Euro. A high-caliber jury selected the winners according to predetermined criteria from the projects submitted by 104 participants from 27 countries. The evaluation was performed anonymously. In addition to the final product the evaluation also focused on the research, concept, design process, finish and tailoring, as well as presentation. The award-winning projects consist of concepts exploring the potentials of fashion. They are comparable to concept cars, not everyday apparel. The European Fashion Award FASH does not consider itself a marketing tool. The focus is on endorsement of the students and presentation of their work. The award is characterized by its fairness, a strictly professional direction, as well as an international jury. 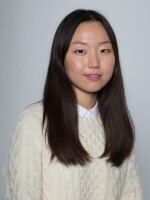 Due to its elaborate selection process and last, but not least, the careers of its award winners to date the European Fashion Award FASH has established itself as one of the most important international endorsement awards for fashion students. •	Fahmoda Academy for Fashion and Design Hanover. Margareta van den Bosch is Creative Advisor at H&M and responsible for cooperations with designers from Karl Lagerfeld, Madonna to Versace. Working as Chief Designer from 1987 to 2008 she was very much responsible for the rising success of the fashion syndicate. Stephan Meyer is Creative Director for the fashion magazine Harper’s Bazaar, Berlin. He is considered one of Germany’s best stylists. Prior work included magazines like GQ, Park Avenue or Architectural Digest. Dr. Adelheid Rasche, art and fashion historian has been the head of the Sammlung Modebild, at the Federal Museums in Berlin, since 1990. It is the world’s largest trade library of and graphical collection on the cultural history of fashion and apparel. She has acted as curator for a number of exhibitions, and has several publications to her name. Joachim Schirrmacher The government, economy and education sectors draw on the over 25 years of experience of the Creative Consultant in the world of fashion and design. Michael Sontag The master scholar is considered one of Germany’s most renowned fashion designers. He has been presenting his collections at the Berlin Fashion Week since 2009. Robb Young works as fashion and economics journalist for the BBC, International Herald Tribune, Financial Times or VOGUE.co.uk, among others. He works as a strategic consultant for the global fashion and luxury goods industry. The work of SDBI is supported by Messe München and members of the SDBI Circle of Friends: Bread & Butter Exhibition, Bueronardin, Closed, Freitag as well as Nowadays. 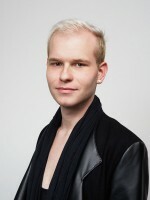 He has been responsible for the SDBI’s European Fashion Award FASH since 2004. SDBI organized the award presentation in cooperation with the Agency Nowadays, also the producer of the Mercedes-Benz Fashion Week. Public relations work was provided by the PR agency Press Factory. Additional partners of the European Fashion Award FASH 2014 include Ludwig Görtz, Berlin’s Kérastase- and L’Oréal-Professionnel salon haarmacher.com, hochbetrieb.de, TVS Textilverband Schweiz (Swiss Textile Association), Voss, Vöslauer and VDP. 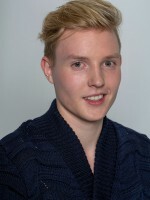 Die Prädikatsweingüter. We will be glad to send you a link for download of print-quality images (ZIP files) from the European Fashion Award FASH 2014 in general or for each award winner. The photos may be used only in media publications referring to the German Fashion Industry Foundation – Stiftung der Deutschen Bekleidungsindustrie. Source identification is required (copyright).